Is Winterizing a Vehicle Necessary? Some people have already faced considerable amounts of snow this winter. The sad part is that it’s just beginning. Depending on where you live, you might be wondering – is winterizing a vehicle necessary? We’ve got the answers you need to come out of this season safely on the other side. Is Winterizing Your Car Worth It? Our modern cars come equipped with remote start, heated seats and superior safety ratings, but we are told time and time again to winterize them. Aren’t they prepared to survive in the cold weather already? Can’t we merely maintain them instead? You’ll hear two schools of thought when you ask if winterizing a vehicle is necessary. Many shop owners preach that winterizing your car is essential to protect against harsh conditions. That makes sense unless you live in Florida or Southern California, or somewhere that enjoys perpetual summertime weather. Other people see the winterizing process as a way to market more products. It’s argued that vehicles are equipped to handle whatever gets thrown at them already. If you properly maintain your car, they contend, you are doing everything possible to prepare it. The bottom line is that the season shouldn’t matter. You always need to take care of your vehicle whether it’s winter or summer. With that said, there are still some things you’ll want to do to ensure everything runs smoothly this winter. If you are taking your car for regular maintenance or you spend time working on it yourself, you’re likely already doing this. At the start of winter, make sure you double check all your fluids. Your coolant is most important when the temperatures drop. You want to protect the engine with the right water/antifreeze mixture to keep the fluid from freezing in your radiator. Double check your owner’s manual to determine the proper coolant for your system. In some areas, you might want to switch to a thinner oil. This is helpful when temperatures regularly drop below freezing. Motor oil is always measured by the viscosity. The W in 5W30 stands for winter. The lower that number is, the better it performs in colder temperature. 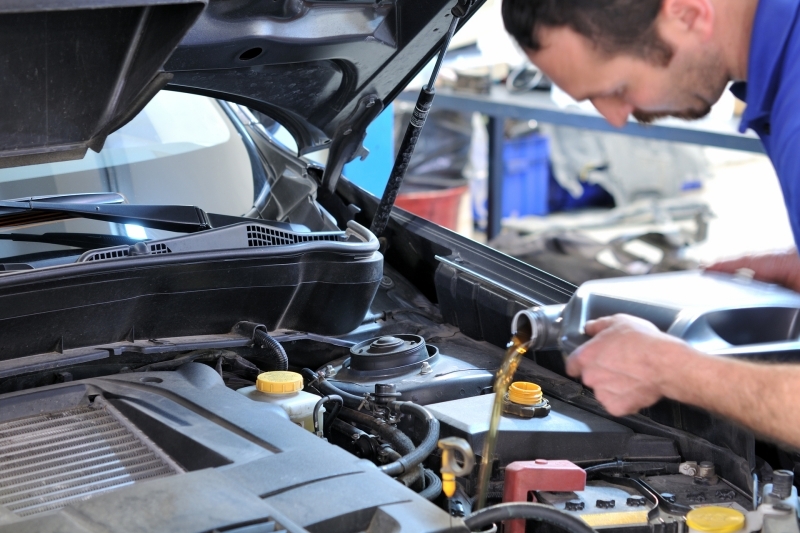 Typically, you would use a 5W oil for colder weather, but this isn’t the case for every car, so you will want to consult your owner’s manual or talk to a trusted auto repair shop to find the right oil for your situation. Finally, one of the fluids that often goes overlooked is the windshield washer fluid. If you plan to drive in freezing temperatures or below, you’ll want a washer fluid variety that doesn’t freeze. It’s the only way to keep your windshield clean during the winter. If you have low air pressure or worn out tires, you face more danger on slick and wet roads. Make sure you inflate your tires to their proper PSI. This is important no matter where you live and what weather conditions you face. Running a high-performance summer tire in the winter will make your life extremely difficult. If you plan to drive in winter weather, you might want to consider snow tires. These provide you with the extra traction you need, but you need to take them off as soon as the weather turns warm again. They aren’t meant to be driven on year-round. Another option you might want to consider is running an all-season tire. These are suitable in winter or summer and you won’t need to change them out each season. Your engine isn’t the only thing you should be concerned about during the winter months. Your battery’s cranking capability is reduced by the cold weather. Take the time to inspect your battery, cables, fluid and terminals to ensure your car will start properly. Inspect the manufacture date as well. If it’s several years old, you might want to consider getting a new battery at the first sign of any trouble. In addition, when you go to buy a battery, make sure that the manufacture date isn’t more than six months old. We’ve talked about the importance of a roadside kit before, but now is an appropriate time to refresh your minds. The biggest thing to consider is what your particular needs are with this kit. If you aren’t living in an area that gets too cold, then having warm, heavy blankets isn’t a need of yours. Still, there are many items that all drivers should keep on hand, just in case. Some of them include road flares, a first aid kit, lug wrench, flashlight, coolant, snacks and water. If you are concerned about winter weather, you’ll want to add some kitty litter, an ice scraper, brush, small shovel and some blankets as well. Learn how to build the ideal Emergency Roadside Kit with our handy guide. Another thing to keep in mind is that your door locks can freeze in colder weather. Also, you could break your key if you attempt to force your doors open. Most people think you can use warm water, but that isn’t a good idea because it can re-freeze easily. Hardware stores, auto parts stores and discount stores all sell glycerin which is useful for de-icing. Just think about where you are going to store it, because if you keep it in your glove box, then you won’t be able to get it when you are frozen out. Instead, consider leaving a tube in several places, one at home in your garage and another in your desk. That way, if the locks freeze, you’ll have some options. No matter where you live and what season you’re facing, you still want to keep up on regular maintenance. This is your best protection against the elements and helps keep your car running properly. If you don’t know how to maintain or winterize your car yourself, you want to seek out a trusted mechanic to take on those duties. 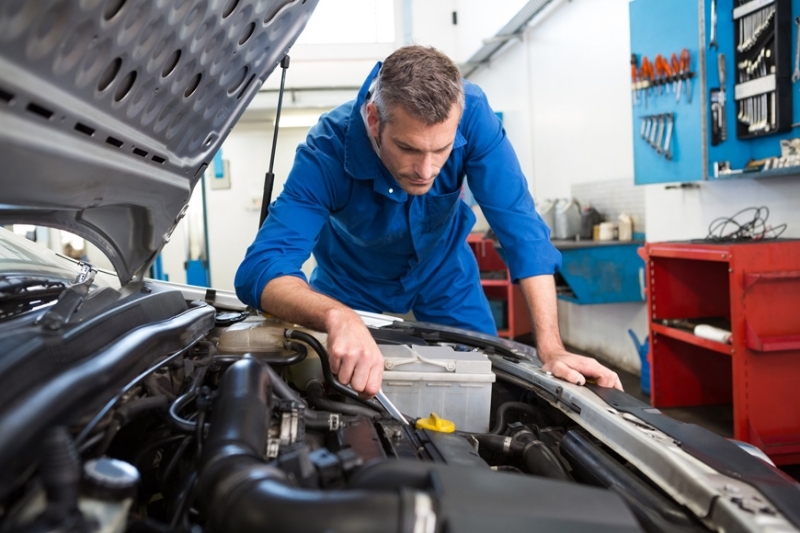 If you do your own maintenance, during your regular inspections make sure you check the belts, spark plugs and hoses to help prevent a breakdown. No one wants to stand on the side of the road during a snow storm or downpour, especially thanks to a preventable problem. So the answer to whether or not winterizing a vehicle is necessary depends on where you live and the conditions you face. Winterizing techniques are intended to protect your car’s systems from extreme temperatures. If you rarely see temperatures below freezing, you probably don’t need to winterize your car. If you take steps to protect yourself on the road by taking every precaution possible, you’ll make it through this winter without any drama at all. From your car, that is. Newer PostWhat if You're Caught Driving a Stolen Car Without a License?